OUR NEW VANS HAVE ARRIVED! We have needed to replace our van fleet for some time now as we had rather old vehicles and were having to deal with a few breakdowns –which isn’t ideal when we were trying to get orders to customers on time. It was also starting to prove uneconomical for the business. 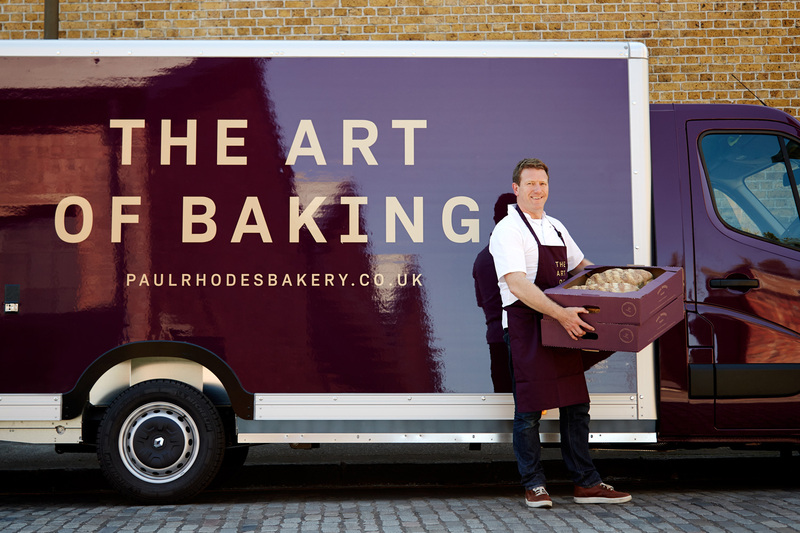 We held off making any changes until we had rebranded and we are delighted that the first of our new look vans have recently arrived at the bakery. Hopefully some of our early riser customers may have seen them deliver their orders in the past week or two. If not, hopefully you will see them out and about on London’s roads soon. The new vans are Renault Master LoLoaders and we are confident that they will help us deliver even better customer service. This model is perfect for companies making lots of deliveries as it easier and safer for drivers to get product on and off. Our vans also have bespoke, in-built cages and trays to stop product moving around in transit – all of which will hopefully make us more efficient and help ensure our product arrives in perfect condition. In addition, we are pleased to say that they are one of the most environmentally friendly vans around.